Watching a loved one grow old can be difficult, especially if they are no longer able to do the things they used to enjoy. The professionals at Handi-Care Inc. can help you determine if home care is the best option. We can assess the extent of physical and psychological infirmities to ensure that home care is the most suitable form of assistance. 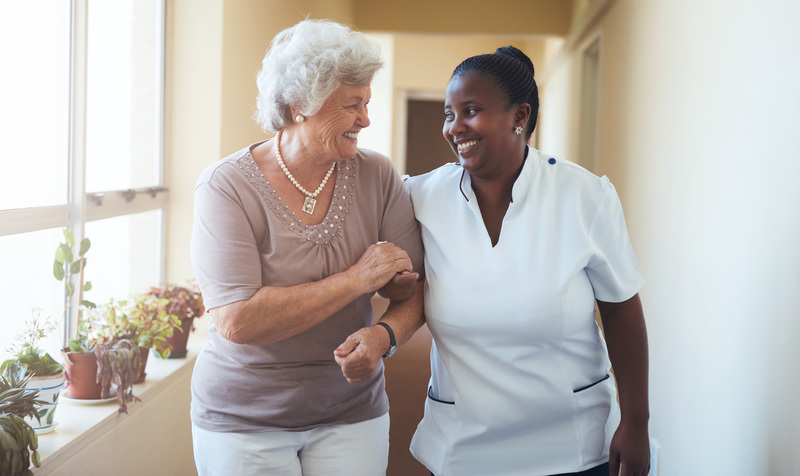 Whether recovering from an injury/illness or whether they simply need extra help around the home, our home care services are designed to allow your loved one to maintain their independence and live with dignity. We understand how difficult this decision is and we appreciate the wide range of emotions you may be feeling. Your parent has cared for you your whole life. They took care of you when you were sick, cared for you when you were hurt, and comforted you when you were sad. But, now the roles have reversed. You may be experiencing unsettling emotions about the future care of your loved one, which is why we will be with you every step of the way. Our team has the skill, knowledge, and experience, and is always just a phone call away from answering those questions and concerns your family may have. If you are in Burke or surrounding Counties and in need of our home care services or would like to arrange a free, in-home assessment, please give us a call or send us an email. Our highly qualified and fully insured caregivers have helped many local families remain at home and live independence and live with dignity, and we look forward to offering our services to you. All information provided is provided for information purposes only and does not constitute a legal contract between Handi-Care, Inc. and any person or entity unless otherwise specified. Information is subject to change without prior notice. Although every reasonable effort is made to present current and accurate information, LinkNow™ Media makes no guarantees of any kind.